By teaching them how to save! (SPOT.ph) Can you recall your earliest memory about money? Was it good or bad? One thing’s for sure: only good things can happen when you start an open dialogue about money with kids. It makes them more comfortable with such a grown up topic, and the benefits carry on into adulthood. Doing so enhances their understanding of money management, as they grow up to be smarter spenders and savers. This is the goal of the Security Bank Smart Saver Kiddie Camp—a three-hour program, specifically designed for kids 7 years old and above, that integrates financial education with fun and interactive workshops. The two-part camp begins with a short talk conducted by renowned financial experts, who are parents to young kids themselves. In the lecture, basic financial management concepts are discussed and simplified to make understanding money and all the things that come with it fun and understandable. 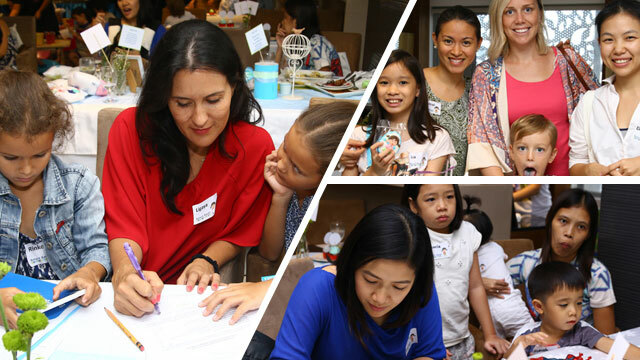 Young participants are also given the opportunity to take part in fun activities like they will be asked to design their own coin jars, learning the basics of Singaporean Math, and doing a simulation of a shopping scenario wherein they can plan how to manage a given budget. They’re also taught how to prepare a savings plan that they can take home and follow. Of course, parents were around to make sure their kids absorb the knowledge that’s been shared with them. Parents are encouraged to participate in the workshop to help follow through and continue their kid’s transformation to smart savers and smart spenders. It’s actually not surprising that the parents learn just as much about financial management as their kids at the Smart Saver Kiddie Camp! Not to be left behind, we guarantee that parents will also learn financial management tips and techniques that they can apply when. The program concludes with a bank visit which will allows kids to tour a Security Bank branch, open their own Jr. One account—a savings product for kids 18 years old and below that offers a higher interest rate than a regular account, as well as a low opening and maintaining balance of just P100—and queue to make their first deposit. It’s a fun and novel experience seeing kids do grown up things like bank transactions! The Smart Savers Kiddie Camp was also an opportunity for Security Bank to share with all present some of their innovative banking products, including AllAccess—an all-in-one checking account designed to be a family’s transactional bank account, which comes with a passbook for tracking transactions, a checkbook for payment disbursement, and an “Everyday Debit” MasterCard to enable mom and dad to shop here or abroad without having to bring cash; and the Human Switch Kit, a personalized banking service which does away with falling in line when opening a new bank account. Within hours, after setting an appointment online, they can expect a call from a Sales Associate to schedule a visit wherever they are, to help them get started. To learn more about the Smart Saver Kiddie Camp, visit any Security Bank branch nearest you, click here, or call the Security Bank Hotline at (02) 88-791-88.